See how the Buick performed against its peers in our Entry Luxury comparison test. These days, it would seem every large volume luxury car maker wants in on the entry level market. Acura has the ILX, Mercedes has its CLA250, and BMW has its new 2-series. Even Buick has entered the fray with the new Verano. Audi, on the other hand, has had its hand in the entry level market for quite some time now with the A3. The previous generation US market A3 was built on the old Volkwagen Golf platform, and shared many of its components with the GTI version of the Golf, including the engine and transmission. For the newest generation, the A3 is built off of Volkswagen's newest "MQB" platform, which is the VW Group's newest transverse, front-engine, front-wheel drive platform. This is the same platform shared with the newest Mk. VII Volkswagen Golf, and many of the new A3's components are shared with the Mk. VII GTI. The previous generation A3 was often ridiculed as being a rebadged Golf GTI. Can this new generation shed that dressed-up economy car image? Here in the United States, the A3 only comes as a sedan now. As a sedan, the car looks pretty good with its handsome yet conservative looks. I do feel like the corporate grill sort of ruins the overall look though. If you start from the rear of the car and follow the graceful lines towards the front, everything looks elegant, and then BAM! There is this giant gaping maw that looks like it wants to bite your hand off. 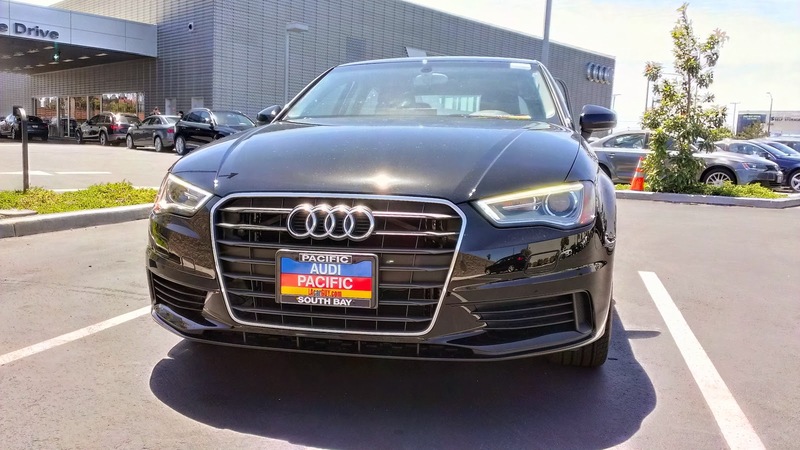 Despite the fact that this is the exact same grill that is on all of Audi's cars, it just feels a bit more toned down on the A4 that I had as a rental a little while back. It might also have something to do with the fact that the car is black, and that piece where the license plate is supposed to sit no longer stands out. Aside from the grill though, the rest of the car looks pretty good, especially with those 18 inch wheels. The interior of the car looks and feels quite nice at first glance. One of the first features I noticed was the pop-up MMI screen. It is a neat feature, but at the same times seems like it could be flimsy. The second feature I noticed was the larger MMI knob. Why is the knob larger? Audi has introduced a new "hand writing recognition" feature to its MMI system. By writing out single letters on the surface of the new and larger knob with your finger, the car will attempt to recognize the letters, much like the hand writing recognition software on your tablet or your smart phone. This feature is only available if you have the navigation installed. If not, the larger knob is still there, it just simply functions as a knob like the MMI systems before it. considering the price point of the car. Unfortunately though, the nice leather does not seem to quite make up for the extensive use of plastic throughout the interior. I do understand that this is supposed to be an entry level car, but I have always felt that if you are going to use plastic, at least use the stuff that does not feel quite so cheap. The plastic bits on the A3 seem to fall in to the "flimsy" and "toy like" category, which is a bit disappointing. The way the interior is set up is really nice and clean, but when you have a clean and simple interior set up, people are going to notice the little things, like the plastic. While I am not advocating that Audi return to using dash setups full of buttons to attempt to mask the quality of the plastic, but using some more substantial plastic helps with the overall feeling. So does the occasional splash of shiny plastic too. When the interior of a top of the line Honda Accord feels more expensive than a luxury car that is not only smaller but costs almost the same, there is a problem. This is definitely an interior one would expect in a Volkswagen, not an Audi. As with most other cars in this class, the rear seats were quite cramped. I do understand that entry level luxury cars are supposed to be marketed at young professionals that do not necessarily have children yet, but it certainly feels like those rear seats are really only suitable for small children. Even if most of the buyers are young professionals, I am fairly certain they will have friends. If an adult friend does happen to venture into the rear of the A3, I would only recommend it be only for a short period of time. While it is not as bad as the third row seating on most seven passenger SUVs, it is still far from comfortable. Thankfully, the drive does make up a bit for the somewhat disappointing interior. The way the suspension is set up feels like Audi went for a good compromise of comfort and sportiness, with more of an emphasis on sporty. While driving over some more pothole filled roads, I never felt that the ride was ever too bumpy, but it never felt too soft either. During cornering, there was a small bit of understeer while exiting the corner, which was to be expected since this is the front-wheel drive version of this car. Body roll during cornering was fairly minimal, and the car seemed very composed. Steering was quite good as well, and may be my favorite steering rack of any Audi I have tested to date. Not only was the steering well-weighted, I felt a lot more feedback from the front wheels than I had expected. 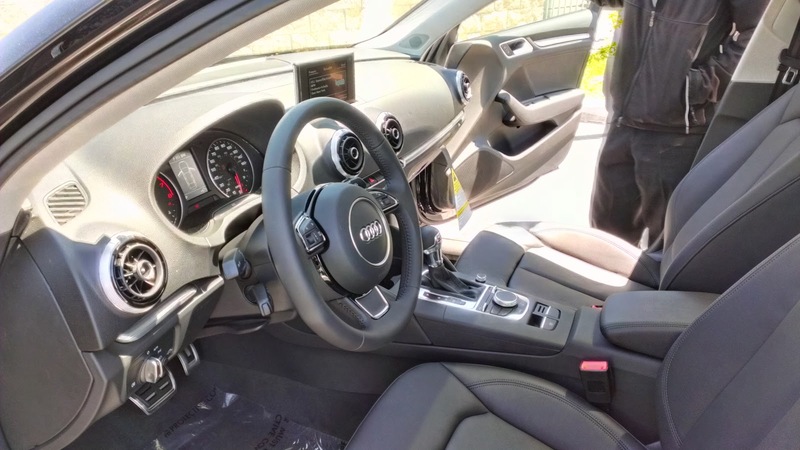 It is certainly not quite up to par with the electronic steering of certain sports cars, or most hydraulic steering racks, but overall, it is a stark improvement over nearly every other Audi product I have driven. The brakes felt like they had just the right amount of initial bite and the feel progresses nicely as you step deeper into the pedal. The choice of engine and transmission does leave me with some mixed feelings and did tarnish the driving pleasure of this car for me. 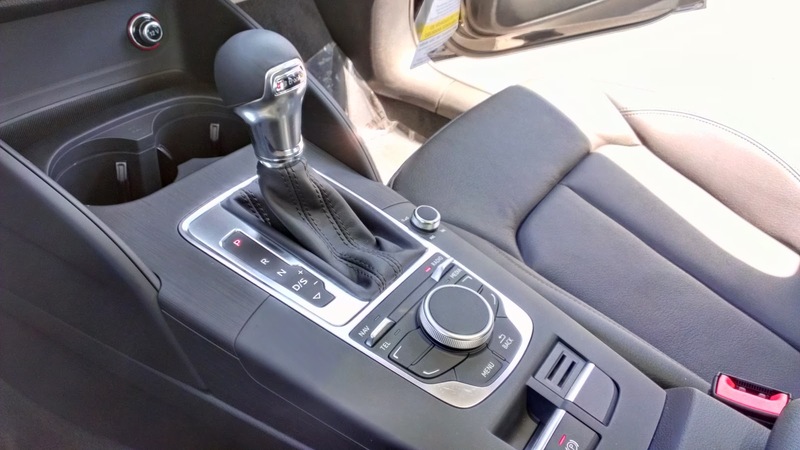 Audi's "S-Tronic" six-speed dual clutch transmission is pretty decent. It shifts quickly and smoothly, and rev matches down shifts to avoid unsettling the suspension. However, despite how good the transmission is, the engine just does not seem to match up with it well. My biggest issue with the turbocharged 1.8 liter, four cylinder engine is the fairly large amount of lag felt when accelerating. It is not that the engine does not make enough power - at 170 horsepower and 200 lb./ft. of torque, it makes plenty of power. However, just like the same problem I had with the Mk.VI Volkswagen GTI, there is just too much turbo lag. This left me wanting to constantly downshift to get the turbo back into boost. Once the turbocharger kicks in though, you are definitely scooting along very quickly. Another minor issue I had with the engine was its rough idle. The entire car seems to shudder while you sit at a stop light. Hopefully this is a problem that will be addressed before the next model year rolls around. So is the new A3 still a rebadged Volkswagen Golf GTI? Unfortunately, it does feel that way. 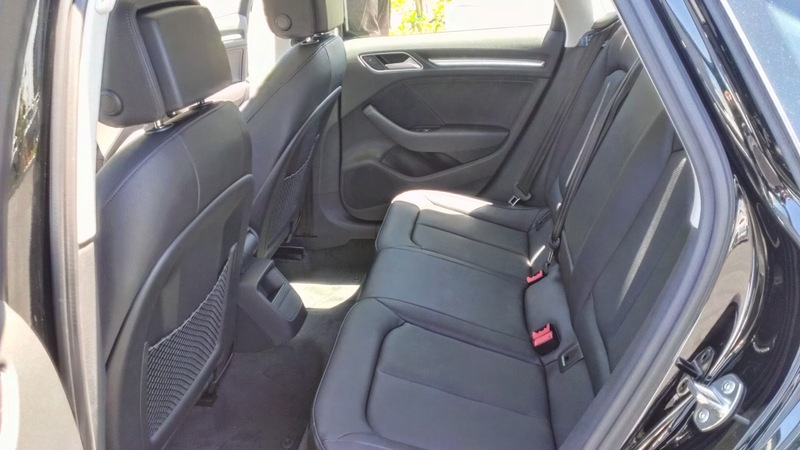 The interior definitely feels like it belongs in a higher trim Volkswagen Golf than an Audi. From what I have read about the Mk. VII Volkswagen Golf GTI, it sounds like it handles about the same as the A3 as well. 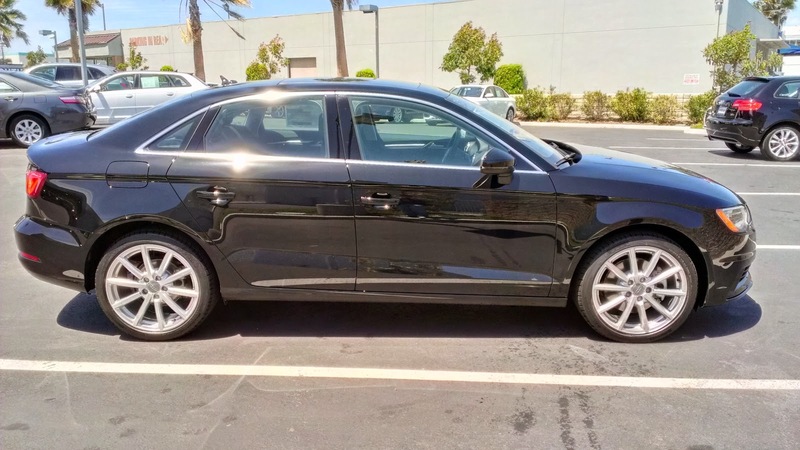 Considering the fact that a similarly equipped A4 is roughly $2,500 more than an A3, it seems as if the A3 is not particularly worth it. 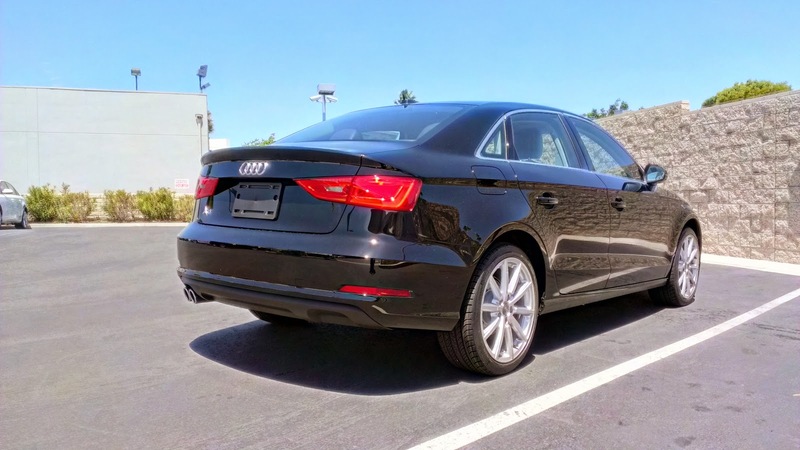 With the A4, you not only get the same equipment (sans the fancy hand writing recognition), but you also get a more powerful engine, more space, and an interior that actually matches its price point. 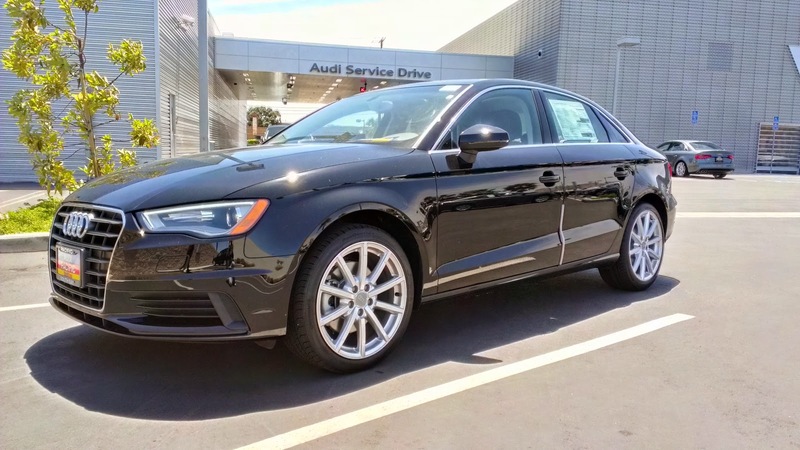 If you do not have an extra $2,500 to burn, and you absolutely must have a luxury car, then the Audi A3 might be worth a look. If you do have that extra money to spend though, get an A4 instead. You will probably be much happier. Special thanks to Audi Pacific for letting me spend some time with the A3.